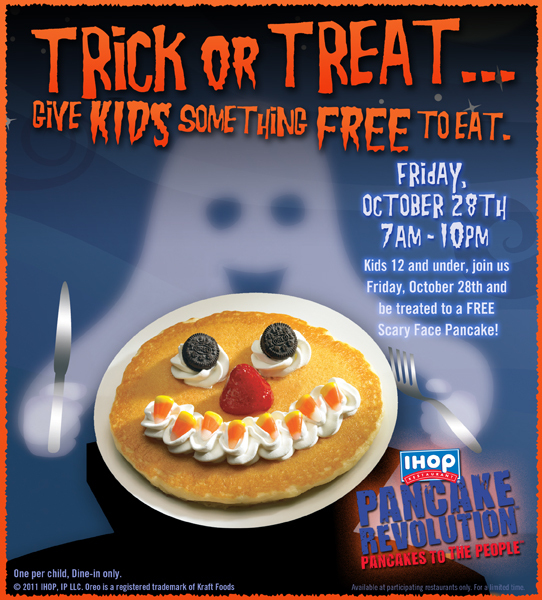 Free Scary Face Pancake at IHOP! 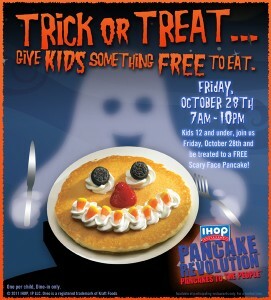 Tomorrow Kids can get a FREE scary face pancake at IHOP. Anytime between 7am -10pm. 1 per child.